We all know that hydration is important, but do you know how much can you afford to lose at any one time before your health is impacted? As you're about to learn, not very much. Lose just a pound or two of water-weight and your brain and various bodily systems begin to suffer considerably. Ensure you have enough and the benefits far outweigh the annoyance of having to take an extra bathroom break or two throughout the day and evening. 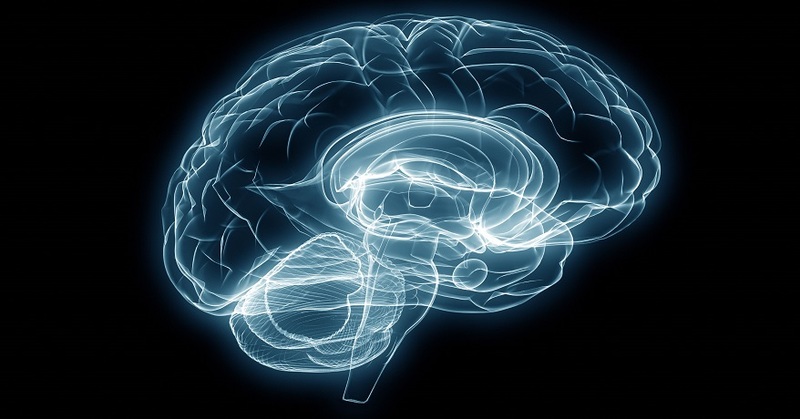 The brain is 75% water, making it the body's most water-abundant organ. It doesn't take much fluid loss to affect how it functions. 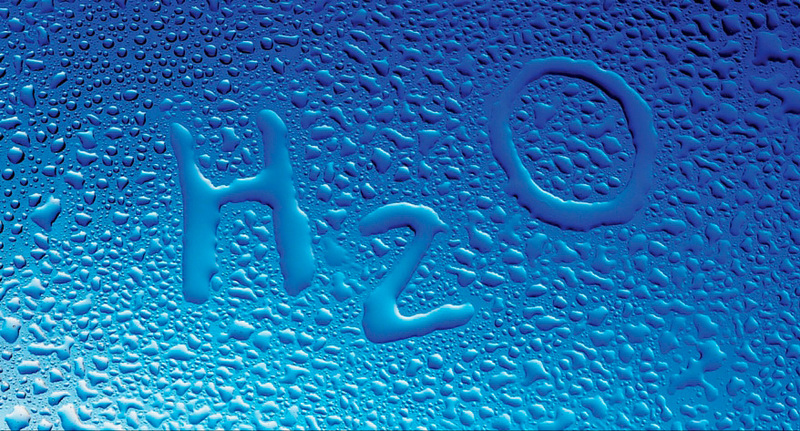 Just as little as a 1 to 3% drop in the body's water content can hamper cognitive function (source). This equals around 2 pounds of bodyweight for the average 150 pound person. Dehydration at this level causes poor concentration, reduces memory, hampers mood, and increases anxiety levels. Such water loss doesn't take much time at all during a sweltering hot day, or while exercising on any day of the year. Drinking a little more than you need ensures your brain is always working at peak efficiency at all times. Whether a person suffers from digestive ailments of the stomach such as GERD or mild acid reflux, or they find it difficult to pass stool (ie., constipation); the first order of business for a doctor is to recommend that person increase their water intake. Drinking enough ensures the parietal cells in our stomachs can produce enough Gastric Acid to digest our food, and that there's enough water to help move waste through the intestines and then later the bowels. Always keep in mind that water and fiber work together to remove waste from the body. Choose some healthful carbonated mineral spring water from a trusted source if you really want to give your bowels a treat (source). In fact, any mineral spring water in general is better for digestion as it contains high levels of sulfur and magnesium which are essential for gut and digestive health. This is a real benefit with actual science behind it. 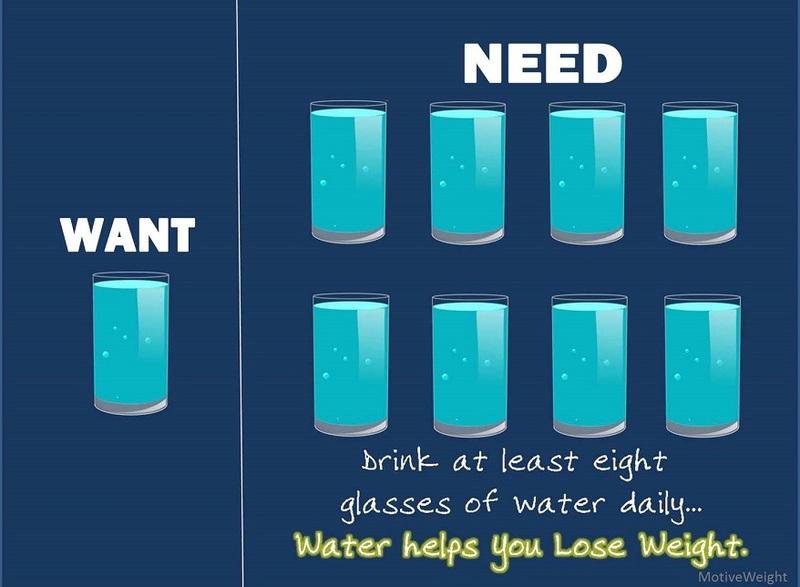 Drinking 2 liters of water every day increases metabolic activity by as much as 30% (source) which equals approximately 100 calories for a 150 pound individual. The colder the water is the better, as cold water causes the body to lose heat which then has to be replenished by increasing endocrine system activity (ie., metabolic activity). Drinking water is also a guilt-free way to reduce appetite, since it fills you up more. Timing is critical when using water to help you eat less. In this study, dieters who drank a half-liter of water directly before they ate lost up to 44% more than those who did not. Allowing yourself to lose as little as 2% of your body's water content can have a significant impact on physical performance (source). During strenuous prolonged activities, it isn't common for people to lose up to 10% of their water content. Such levels of dehydration can make it difficult for our metabolism to regulate body temperature and flush lactic acid away from the muscles, which can severely hamper your motivation to continue. Always remember that muscle is close to 80% water and therefore cannot operate optimally when levels start to dip. Without water, your body wouldn't be able to flush the dangerous toxins lurking inside away. Our kidneys need water to get rid of all the junk that comes in through our food, drink, and the air we breathe. The kidneys alone process somewhere around 189 liters of blood every day and require water to transport the resulting toxic urine to our bladder so it can make its exit from the body. Watch the video below to Reap the many health benefits this simple detox water recipe offers. This detoxification relies on other dietary requirements in the form of antioxidants, but if you don't drink enough water, this process gets severely hampered the less you drink. Increased toxicity leads to skin blemishes, speeds up the aging process, and can lead to a host of health problems such as heart disease and cancers of all kinds. Drinking plenty of water also ensures healthy immune function by keeping our lymphatic system working correctly. We all know we should be drinking more, but it's easy to lose sight of this reality. Tap water is full of contaminants and doesn't taste very good, quality water filters are expensive to buy and maintain, and most of the commercial bottled water available out there comes from sources that are just as contaminated and full of chemical pollutants as municipal sources. Eat plenty of water-filled veggies and low fructose fruits like lettuce, spinach, cucumbers, cauliflower, avocados, and melons of all varieties. Commit to having at least an 8-ounce glass of water with every meal and snack you eat. Make it a habit to carry a bottle of pure mineral spring water with you wherever you go so you're not tempted to drink sodas, juice or caffeinated beverages which can dehydrate you even more. If you're looking to give your body the purest water you can, try One Water mineral spring water, bottled straight from the “Jewel of the Earth” in the remote jungles of the Malaysian Rainforest. Our naturally-filtered, pure source water is far removed from the environmental conditions present in civilization and is guaranteed to be free of all pollutants. One Water also meets the strict purity requirements set out by the Ministry of Health Malaysia and is batch-tested to ensure maximum purity and health. Feel free to use our contact form if you have any further questions. Read also "Water is Life: Fun Facts and Trivia About Water"